Ronald Maravilla, chairman of Barangay Labuan, said they have yet to account for the exact number of houses damaged but estimated it to be about 200. He said 496 families or about 2,480 individuals were able to flee from the big waves. The storm surge started to batter the coastal area about 1 a.m. Officials alerted residents immediately to evacuate. Maravilla said the one person who was killed was identified as Sonny Tadjali, an imam or Muslim priest. Based on accounts of the victim’s family, Tadjali went back to their house to retrieve some clothes, Maravilla said. The storm surge swept the house while the victim was still inside. 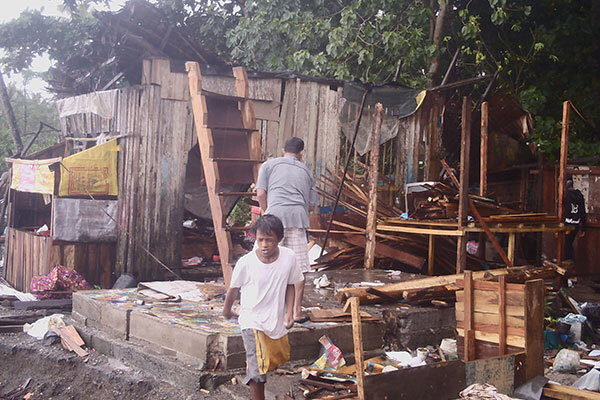 At least 40 houses were also swept at the adjacent barangay of Limpapa. Officials said no one was reported hurt or injured in the said fishing village. 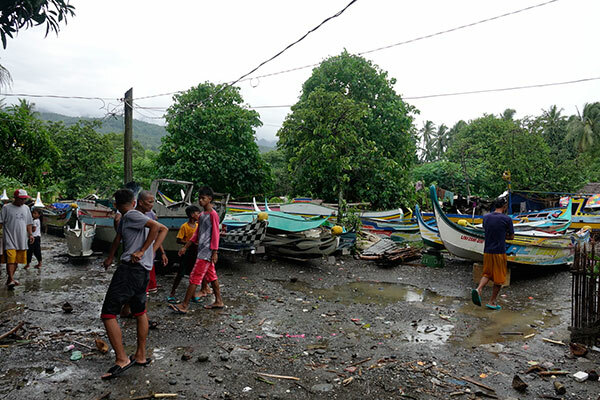 Residents of Barangay Labuan moved their bancas to high ground after a storm surge hit their fishing village on Sunday. Rep. Celso Lobregat (Zamboanga City) alerted Red Cross volunteers who assisted displaced residents. Lobregat said they are also looking at implementing a no-build zone policy at areas described to be hazardous to prevent destruction and loss of life. City Disaster and Risk Reduction Management Office chief Dr. Elmeir Apolinario also reported that several villages were submerged by a flash flood due to torrential rain in Vitali district in the east coast. He said about 150 houses went underwater. The flash flood also cut the traffic leaving several vehicles stranded for hours. Apolinario said Coast Guard, Navy, Marines and police personnel were mobilized to rescue stranded residents.